Don’t miss this annual springtime opportunity to gather free organic (and some heirloom organic) vegetable, herb and flower seeds at the Seed-to-Seed Library in the Fairfield Woods Branch Library in Fairfield. The Seed-to-Seed Library has seed packet donations from Comstock Ferre in Wethersfield, CT, the oldest operating seed company in the U.S., and other generous seed companies. There’s plenty to share. The area is on the first floor near the Resource Desk and is run in partnership with the Fairfield Organic Teaching Farm. 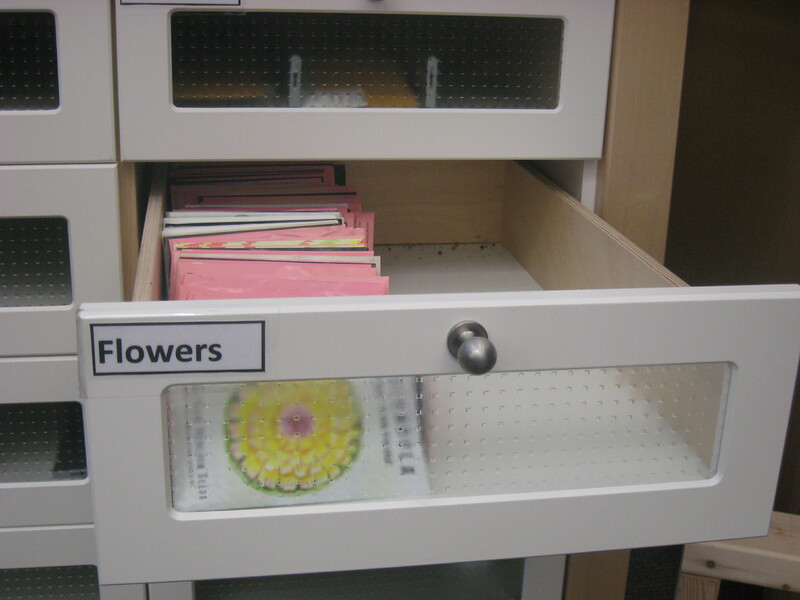 The drawers are categorized with seeds that are easy to difficult to plant, there’s a sign in sheet, tutorials, handouts and more. Open a packet, take out a few seeds and place in the little envelopes provided by the library. Please remember to sign in so the library can track how well-loved the program is for future grants. Funding for this program was generously provided by Fairfield Earth Day Committee. Seeds for the Seed-to-Seed Library were graciously donated by Baker Creek Heirloom Seed Co., Mansfield, MO; Comstock Ferre in Wethersfield, CT, oldest continuously operating seed company in the U.S.; and Renee’s Garden—Gourmet Vegetables, Kitchen Herbs, Cottage Garden Flower in Felton, CA. 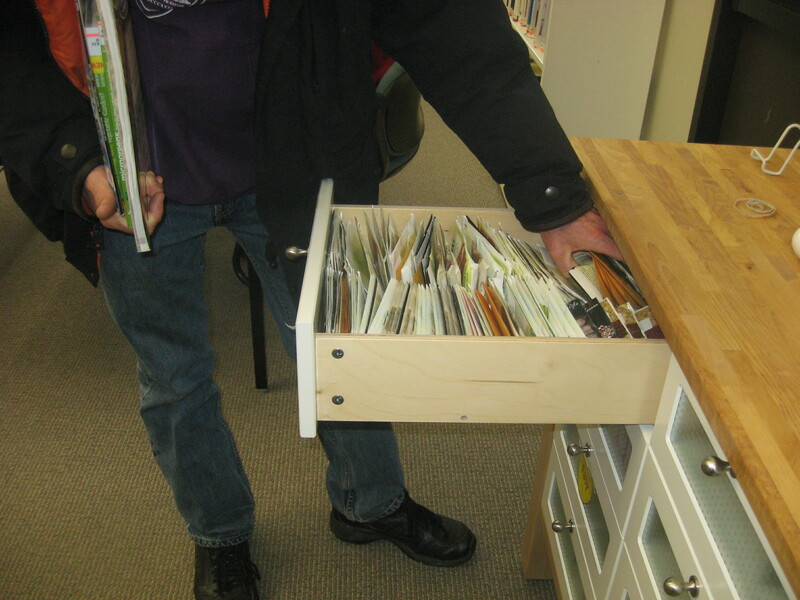 A grant from New England Grassroots Environment Fund has helped to establish the seed library.